Replacing windows no longer need to be a hassle. Window Guide gives you the cost information you need on the differing window options available in the marketplace. Use this information to pick out a new window design, brand, or model to replace your old window. In fact, you can use this opportunity to get your home a new energy-efficient window that might cost less than your original window and save you money on your next energy bill. 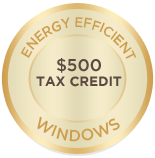 Indeed, even the government recognizes the impact energy-efficient windows can have on both your pocketbook and on the environment. We have listed all the major types of windows available currently on the marketplace. Learn about the differing types of windows and what they are used for. Check out their function and see if it matches your home’s needs. If you already have a certain window type, study its functions and see if there are other types that can replace it. Use this information to upgrade your windows so you can update the look of your home. You can also save more energy with the right window type. We have assembled a national and regional database of the most common window brands. Regardless of which part of the country you live in, you are sure to have a regional and national window manufacturer that services your particular area. Get more information about particular manufacturers and the specific models they make. Find out about their manufacturing philosophies, how long they have been in business, their claims to fame, their specializations, and other information you need to make an informed window buying decision. We’ve also listed each manufacturer’s most common window offerings. Not all manufacturers specialize in the same type of window. Differing manufacturers have differing design and manufacturing philosophies. Learn what these are so you can do a detailed and informed comparison among makers before contacting them. Unlike the olden days when windows were made from a very limited range of materials – wood, stone, and metal, modern windows can be crafted from a very wide variety of materials. Learn what these materials are and what their advantages and drawbacks are. See which materials best fit your region’s climate and your home’s particular window needs. Find out which window materials match the particular design pattern or requirements you have in mind. We have also listed some window outlets. Find out which ones are closest to your area. The government is serious about helping citizens save energy. Not only is this ecologically sound, it makes for great resource management. We’ve researched how energy credits or window tax credits work and how it might impact your window selection decision making. Use Window Guide today and get all the information you need to make informed, balanced, and well-thought out window buying decisions.